Water heaters play an important role in the regular function of a commercial or residential building. While they are often overlooked, life without a water heater can be difficult. 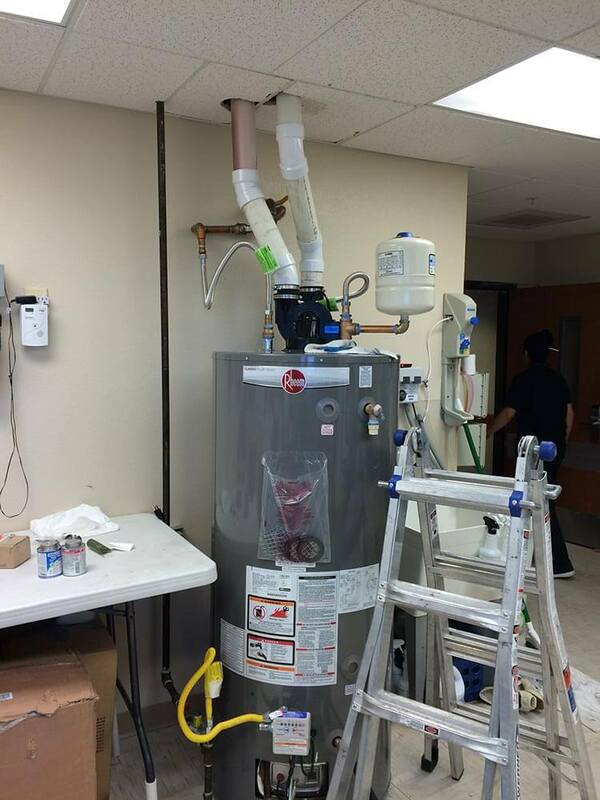 For this reason, it is important to make sure your water heater is in good condition. The best way to do this is to hire a reliable, professional plumbing company Twin Falls residents can trust for all your water heater repairs. That’s where On The Ball Plumbing comes in. As the name suggest, water heaters provide hot water to a home or business. There are a few different types of hot water heaters, but they all basically achieve the same end goal, which is to heat water above its initial temperature. This water is used for a variety of things, including bathing, cleaning, cooking and heating. When it comes to water heater repair, it is important to catch the warning signs early to avoid any unnecessary damage to the system. There are some tell-tale signs that indicate your hot water heater is or will be going soon. As soon as you notice any of these issues, you should call On The Ball Plumbing immediately. The quicker our technicians are able to diagnose the problem, the more likely we will be able to salvage the water heater. Water heater repairs can be cheaper than getting a brand-new system, so getting to these repairs as quickly as possible can make a major difference in the amount of money it will cost. If it cannot be repaired, the experts at On The Ball will recommend the best water heater replacement for your unique situation. If you are looking to have a new water heater installed, we can also help. Most water heaters last between ten and 15 years. For water heaters that are approaching this age, having a professional take a look can save wasted money on repairs. 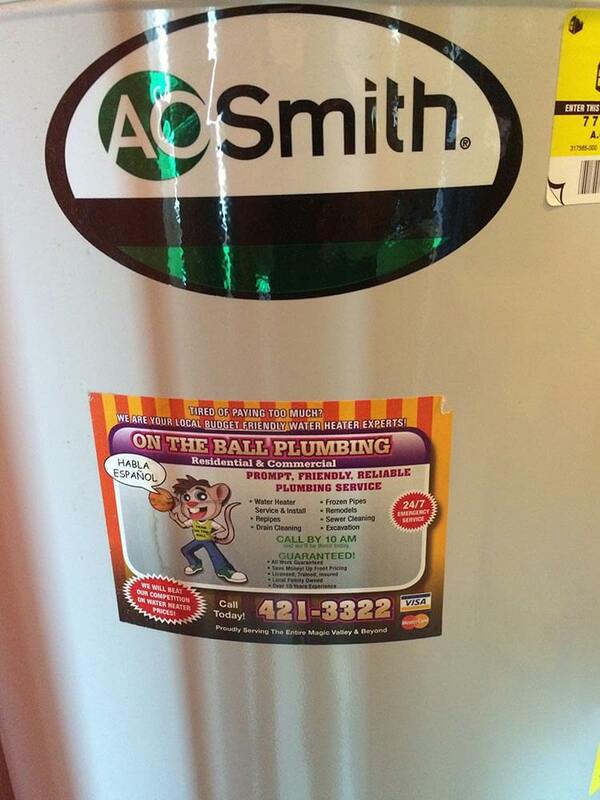 At On The Ball Plumbing, we can help with any kind of water heater installation. 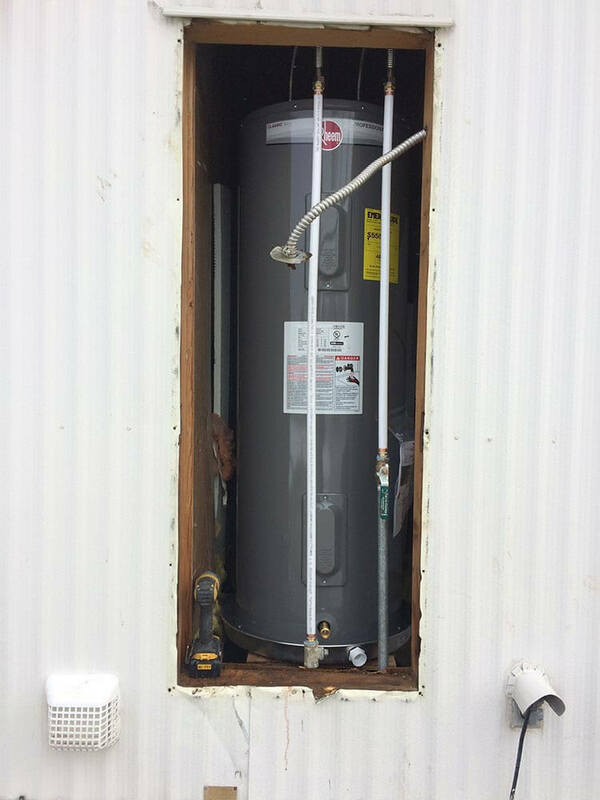 Whether it’s a new construction or a water heater replacement, we can get the job done. While the job of a water heater is to provide hot water for a residential or commercial building, there are a few different types of water heaters that can be installed. Each one varies in some capacity, but they are all designed to perform the same duties. For more information regarding the different types of water heaters, contact us! On The Ball Plumbing’s team of professional Twin Falls plumbers can assist with any water heater repairs, installation or replacements.